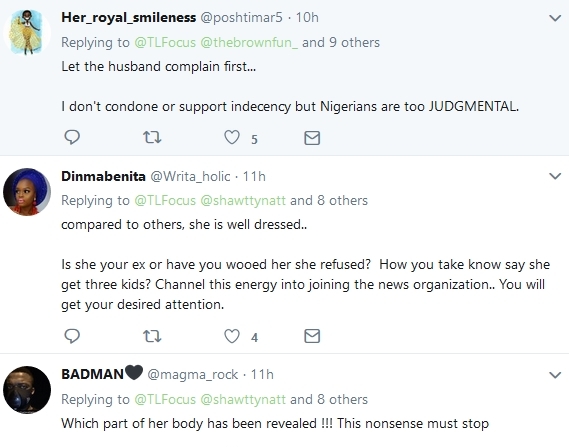 A Twitter user identified simply as TLFOCUS (@TLFocus), has been trailed with mixed reactions and criticisms after he was blasted by a woman, Bukola Wahab (@shawttynatt), who he had accused of wearing an indecent attire as a married woman. "What social media does to people can be best described as incredible. This is a married woman with 3 kids but feels comfortable revealing a part of her body that should be hidden just for social media clout. How about the husband stumbles on this?." 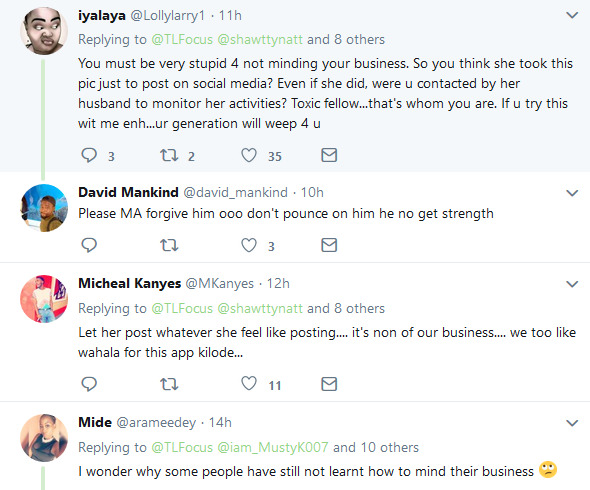 As the Tweet vent viral, the woman reacted in a very hilarious and matured way. 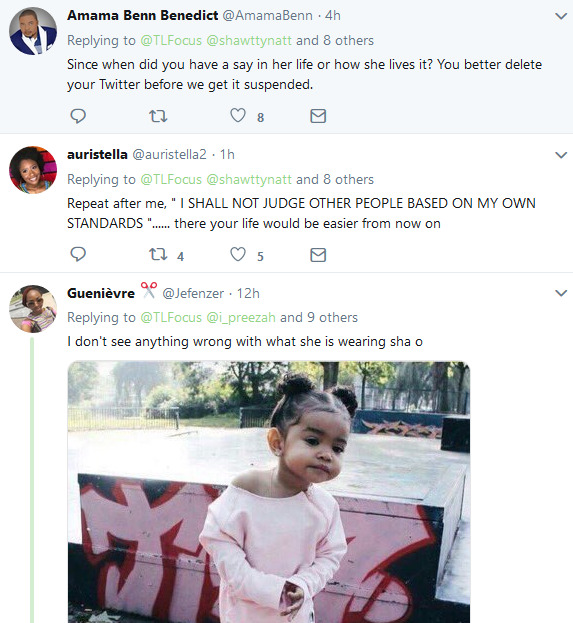 "You must be very mad for judging me in the first place, I hope you know my entire generation too. 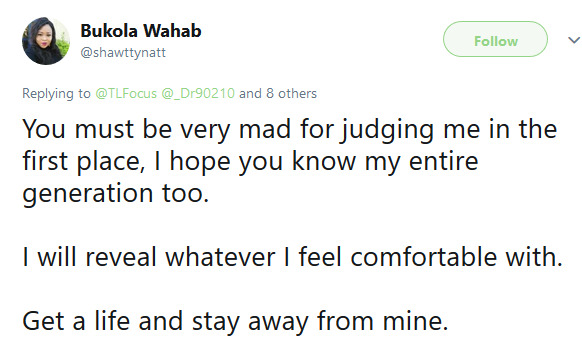 "I will reveal whatever I feel comfortable with. Get a life and stay away from mine," she wrote.